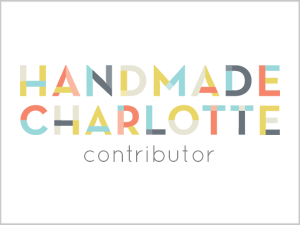 One of my good friends from Sullivan Higdon & Sink is having a baby shower this weekend, and I wanted to make something fun and memorable to surprise the new mom. 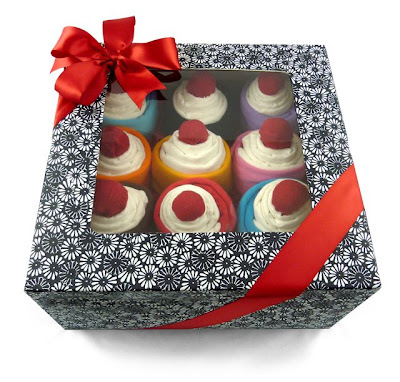 T-shirt Cupcakes: one dozen, assorted t-shirts rolled up with diaper cloths and red sock "cherries" on top. All packaged neatly in a festive pastry box. The mom-to-be, Sarah, is having a baby boy (and naming him Carter.) 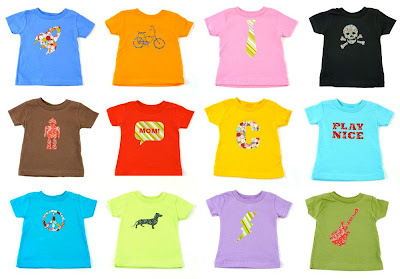 So, I cut some boyish & quirky designs out of fabric and iron-transferred them onto the shirts - a rocket ship, a banana-seat bike, a tie, a skull & crossbones, a robot, a word bubble screaming MOM!, the letter C, PLAY NICE, a peace symbol, a weiner dog, a lightening bolt, and an electric guitar.